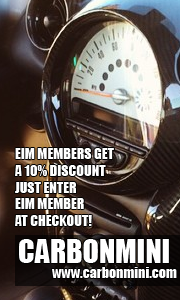 Don’t miss out on this once-in-a-lifetime special offer extended exclusive to our Iowa MINI Cooper enthusiasts! 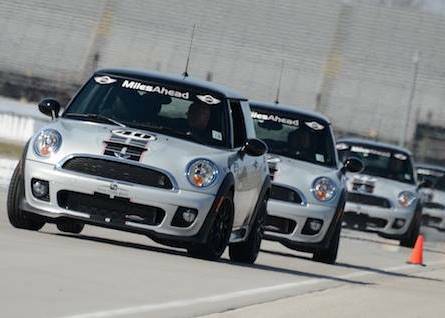 This deeply discounted MINI Performance Driving School will take place in late September or early October at the Indianapolis Motor Speedway, putting you behind the wheel of a specially prepared MINI Cooper JCW and with personalized instruction from professional race drivers. In order to lock in the schedule for this event, the organizers need your commitment to attend not later than Wednesday, April 23rd. As of the date of this post, we’re just a few Iowa motorists away from a full class and a confirmed event! Information, instructions, and contact information are available below (after the “Read More” jump from the home page). Don’t miss out on this special opportunity! 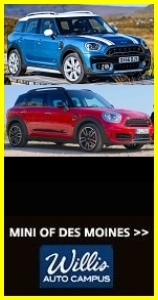 MINI USA and Miles Ahead are offering a 25% discount off the $995 retail price of the MINI Performance Motoring School to Eastern Iowa MINIs (EIM) and the Central Iowa MINI Club (CIMC) members if we can collectively fill a class with at least twelve (12) people within 30 days of the offer to the club (deadline is April 23, 2014). Club members wishing to share the same car and driving with a companion during the program may do so at no additional cost. This option represents an additional 15% savings for a total of 40% off for a two-person “double-up” registration! Class Date: Late September or early October, 2014. Exact dates are dependent on the response. 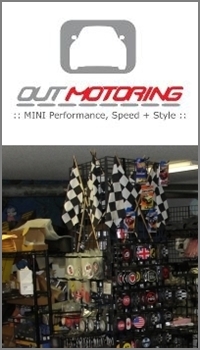 MINI Performance Motoring School class dates are currently being finalized with IMS. Eligibility: Any member and family member of EIM or CIMC. Purchase Requirements: Must place a $100.00 deposit with Miles Ahead within 30 days of notification of the offer. If less than twelve (12) deposits are received by the deadline the deposits will be refunded. If at least twelve (12) deposits are received by the deadline then the deposit is non-refundable and the balance will be due no later than one month prior to the class date. Oversubscription: Up to fourteen (14) cars can be accommodated in a single class. If there are more than fourteen (14) club members wishing to register, those registering last will be offered the opportunity to participate in another class at the same price. Virginie will then contact each club member individually to securely process your deposit transaction and add your name to the class roster.